StoveTrace is a cloud-based remote monitoring system for improved cookstoves in rural households. StoveTrace continuously uploads data on cooking events in a home, giving improved stove stakeholders access to use measurements in near real time, without additional field visits. StoveTrace also enables rural women to receive cash payments for their measured use of improved cookstoves and carbon mitigation. StoveTrace has been installed in over 700 households across more than 30 villages in India. 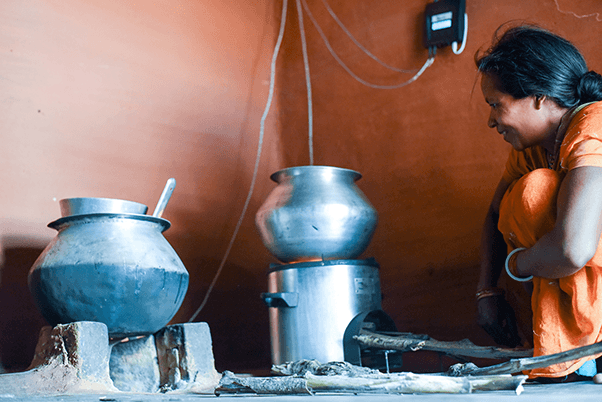 Nexleaf has been working in the cookstove monitoring space for the past 6 years as a part of Project Surya, an international collaboration between UCSD, Nexleaf, and TERI. Every day, 3 billion people rely on fires inside their homes to cook and to provide light and heat. Exposure to the resulting household smoke kills more people each year than malaria, TB, and HIV/AIDS combined. These fires also contribute significantly to global climate change, not only due to carbon dioxide emissions, but also because they release black carbon and other particulate matter aerosols, and the wood fuel used in many areas accelerates deforestation. “Improved cookstove” is the term for any stove designed to displace a traditional cooking fire in a rural household. For decades, a wide range of organizations have been working to design, manufacture, subsidize, distribute, and encourage adoption of improved cookstoves. 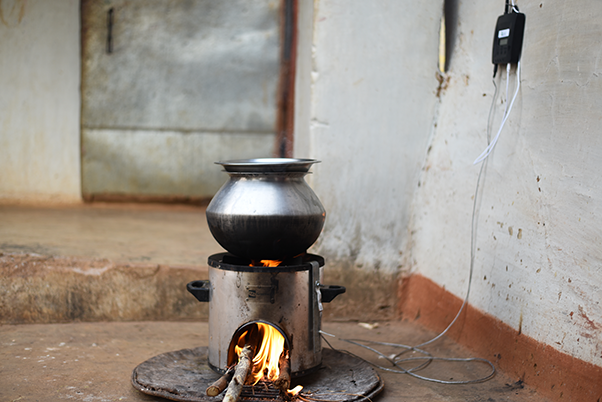 Improved cookstoves can significantly reduce air pollution inside homes. However, the actual environmental and health impacts of these cookstoves can vary dramatically based on a number of factors, including stove technology, usability, durability, fuel consumed, and context. The right stove technologies and implementation models must be identified, financed, and scaled up in order to maximize climate and health benefits. Enable payments to rural households via carbon markets and climate funds to subsidize and encourage improved stove use. A StoveTrace sensor is placed on an improved cookstove and continuously uploads cooking event data to Nexleaf’s servers in near real time. The data is immediately viewable on the StoveTrace dashboard, which offers several useful visualization options. This visualization shows a single day of cooking for a single household. StoveTrace works wherever cellular networks are available. Designed for robust, uninterrupted performance in remote conditions, Nexleaf’s rugged StoveTrace sensor device can be fitted to nearly any stove and can withstand temperatures up to 300°C (572°F). The StoveTrace device then transmits data automatically via GPRS or SMS. The sensor is powered by solar or DC (up to 55 volts) and has a long battery life (up to 3 days) to accommodate limited and intermittent power availability. Dispatch technicians to fix broken stoves. Track issues to improve stove design and instructional materials. Identify high adoption areas and user demographics to focus future distributions. We want to make objective feedback, tools, and protocols available to the global sector. 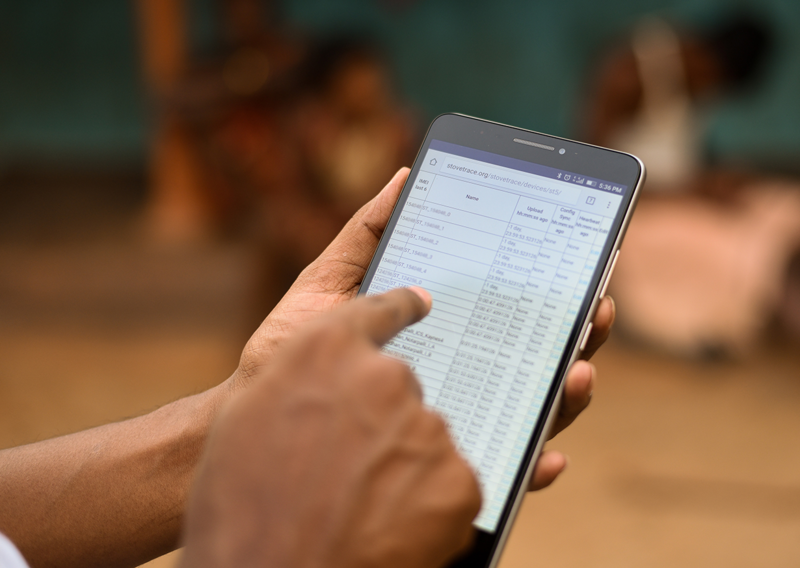 StoveTrace data is already being used to get cash payments to rural households for their carbon offsets when they use improved cookstoves. In collaboration with our Project Surya partners, we developed the Sensor-Enabled Climate Financing (SCF) model. 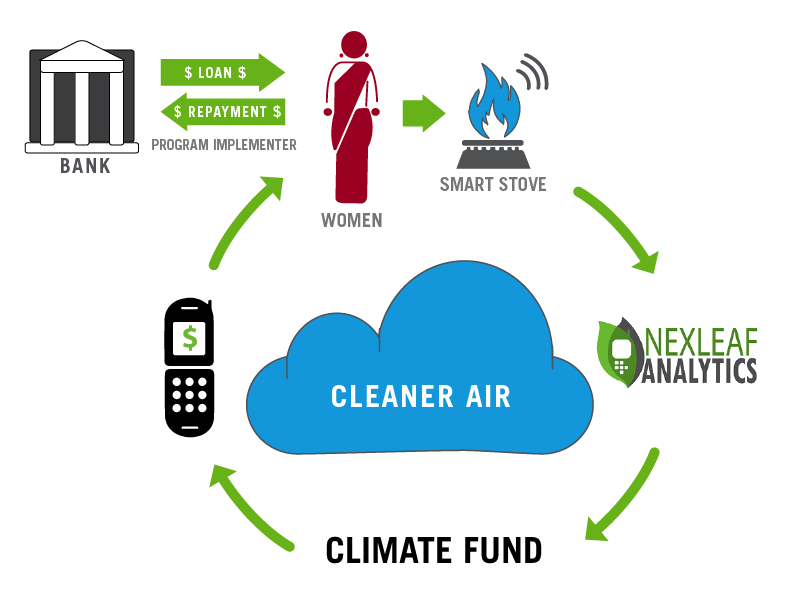 With this model, Nexleaf works with partners to enable mobile payments from a climate fund to reach the women who use improved cookstoves directly. Any institution or stove implementing partner can form a climate fund. Support direct payments to women and champion clean energy access by making a tax deductible donation to Nexleaf today. Black carbon is a component of the particulate matter (commonly known as “soot”) emitted by a fire. Recent studies show that black carbon might be responsible for as much as 20% of the planet’s warming, and black carbon from traditional cooking fires in South Asia may be a major contributor to the anomalously rapid warming of the glaciers of the Tibetan plateau. 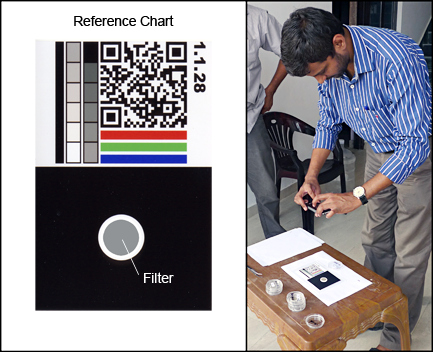 At Nexleaf, we designed a low-cost monitoring system that uses cell phone cameras to help researchers measure black carbon concentrations. We are working with our Project Surya partners to use StoveTrace to get rural households access to cash payments for their reductions in black carbon emissions, in addition to the money they receive for reducing carbon dioxide emissions. This new mechanism for carbon financing is an exciting step in the fight against global climate change.